NISSAN GT-R SpecV '09 - Tires : Race Hard. Power: Limited to 542 BHP. Qualifications: 30 minutes. Lounges regulated without penalties. A track marshall will be present to check the trajectories. - Grid Order: Race - Fastest First. NISSAN GT-R SpecV '09 - Pneu: COURSE DURS. Puissance: Limitée à 550 chevaux. Nombre maximum de participants par Team: 20. Qualifications: 30 minutes. Salons réglés sans pénalités. Un comissaire de course sera présent pour vérifier les trajectoires. - Trajectoire de course autorisé. 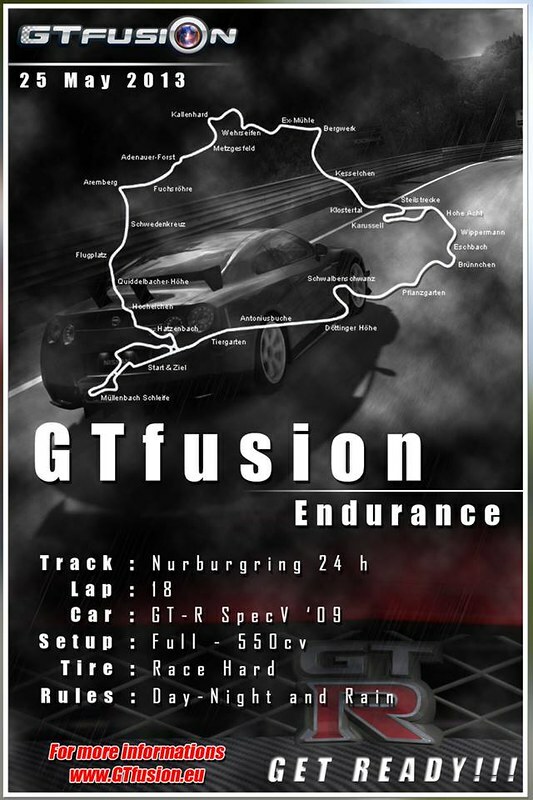 A savoir que cette date concorde avec un de nos championnat GTracing..
Namely that this date is consistent with one of our championship GTracing.. Team BTH would like to take part as well. Though we have some questions. 1. Who will be the host of the race? 2. Do the points earned on the race count in the team points and in the rankings or not? 3. Can anyone (individula people) join to the race or must be a member of our site? 4. Where can I register the names of our racers and who can I send the list? 5. Where are the limits of the track? I mean, what is allowed as a driving surface. Thanks for advance for your help. No points for the classement, race for the fun. Everyone can participate and the host will be determined based the lounge.